The 13th Basic and Advance Belt Testing and the 5th Black Belt Testing were once again fantastic. Even though we had three different testings (June 24-25th) at three different times, students came with one heart—to give their best and take another step in their journey as martial artists. As we punched, kicked, sweated, made loud kihaps, cried, challenged, and learned, we grew. 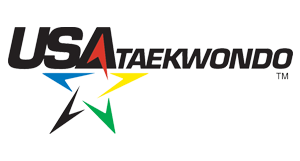 After the Black Belt Testing, Grandmaster Lee, a special guest from Batavia, commented "I have gone to many other belt testings, but I have never seen any testing like this before. TKC is worth more than one, ten, hundred million dollars. You guys are lucky to have TKC. TKC is lucky to have you." Good work, TKC! May your new belts be not an end but a new beginning and a new challenge.